Learn drumming technique, rhythms and history in classes led by some of the best instructors Toronto has to offer. 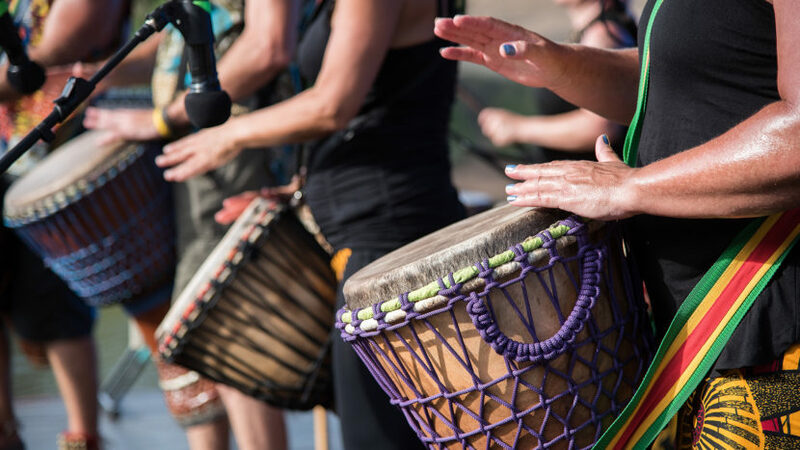 Join our drum circle and partake in the healing vibes of percussion. DRUMS: If you have one, bring yours. Otherwise, drums provided free the class. An arts hub full of soulful rhythm and heart serving as African cultural ambassador to Canada since 1987. Visit the shop for drums, musical instruments, classes, authentic art and a beautiful community. Book us for repairs, workshops, performances, etc. Read more […]. © 2019 African Drums & Art Crafts. Powered by SabaDomainHosting.com, SabaDesigns.com.